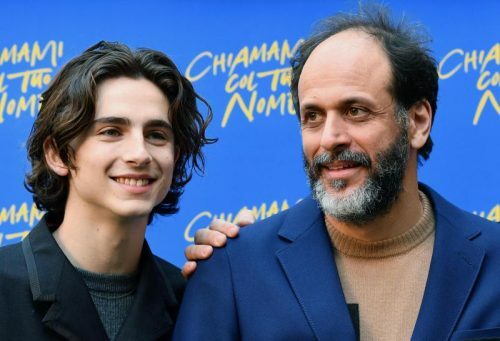 Luca Guadagnino, the director of Call Me By Your Name is looking to bring his work to television for a change. Observer is reporting that Guadagnino is working on a queer coming-of-age series, directing the first two episodes (at least) and writing scripts with a pair of co-writers. The series has the tentative title We Are Who We Are and is set in Italy. The show centres on Fraser and Caitlin, a pair of teenagers discovering themselves while living on a military base. One detail from this report stands out: “Fraser is actually missing his friend from home, Mark, while also developing an innocent romantic connection with an older soldier named Jason.” While that’s not exactly a Call Me By Your Name redux, it does seem like there might be some thematic connection between Guadagnino’s highest-profile film to date and his biggest TV foray yet. Great title and very appropriate that it’s set in Italy ……. hopefully right in the Vatican’s face — and deservedly so. I look forward to it, I hope he’ll feature gay people this time, not just straight actors playing gay, no offense to the excellent Timothée Chalamet. Talk about “confusion” —- he [“Elio”] is in the process of starting a gay relationship, and then quite obviously shows an impressive erection while kissing his [French?] “girlfriend” — to the point of having to quite visually press his erection downward to attempt to hide it [there was no hiding that! ].